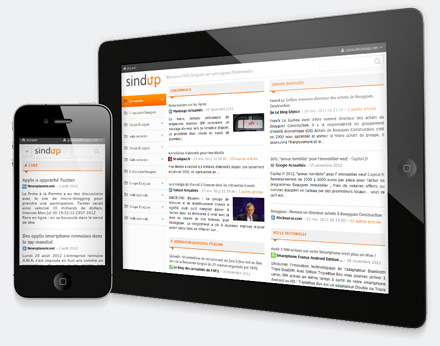 Enjoy a complete monitoring platform and get up and running quickly, through its intuitive interfaces! 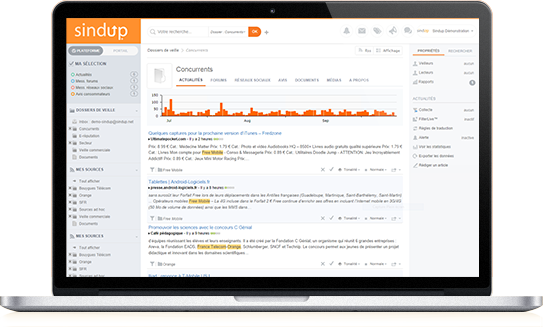 Each user gets immediate access to their monitoring through clear, well-designed interfaces..
News, blogs, press releases, social networks, forums, consumer reviews, institutional sites … Connectors linked to sources specific to your field are available optionally. Automatically filter and sort all the data! 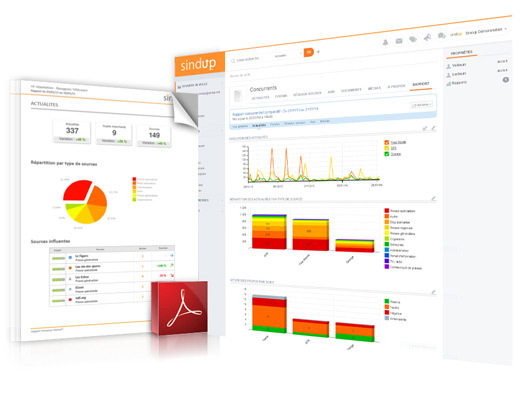 The Sindup BI monitoring platform uses a proprietary technology to learn to recognize information profiled based on the user’s centers of interest. This way, FilterLive™ helps save time by automatically stocking the BI monitoring folders with relevant news. The data are refined and enriched with analyses and indicators to enable better understanding. Newsletters are particularly useful for regularly sharing important information with employees. 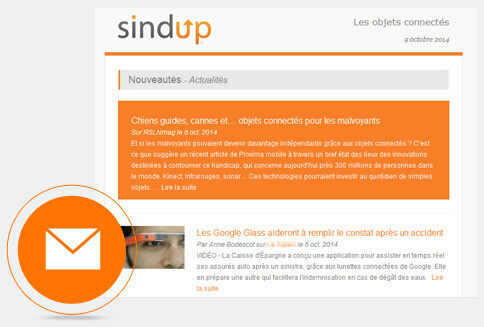 SINDUP® lets you generate and customize these newsletters, select the recipients, the date and the sending frequency. Fully automated, a BAT system also validates content before each dispatch. Measurements of data volumes by source type. Detecting significant buzz or sukets. Changes in volume over time. 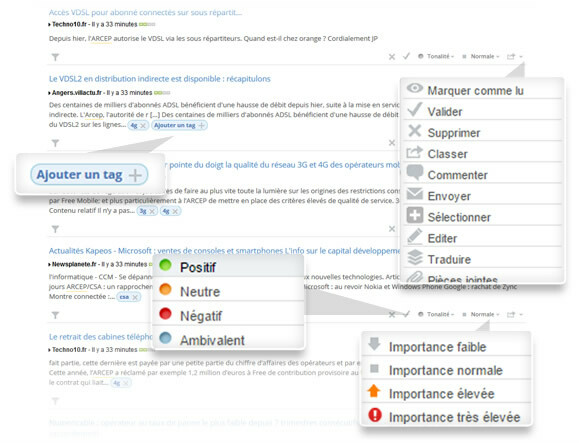 Sentiment analysis (positive, negative, neutral). We attach great importance to responsiveness and supporting our customers throughout the project: establishing requirements, training, and support. businesses and international groups. You can scale your offer at any time.